﻿ SAS Management Inc.DevOps-DASA - SAS Management Inc.
Understanding the collaboration between software developers and information technology (IT) professionals while automating the process of software delivery and infrastructure changes. The DevOps Fundamentals qualification is designed to provide the core education necessary to build your DevOps vocabulary and to understand its principles and practices. With the help of key DevOps concepts and terminology, real life case studies, examples and interactive group discussions and extensive exercises in each module you will acquire a fundamental understanding of DevOps. 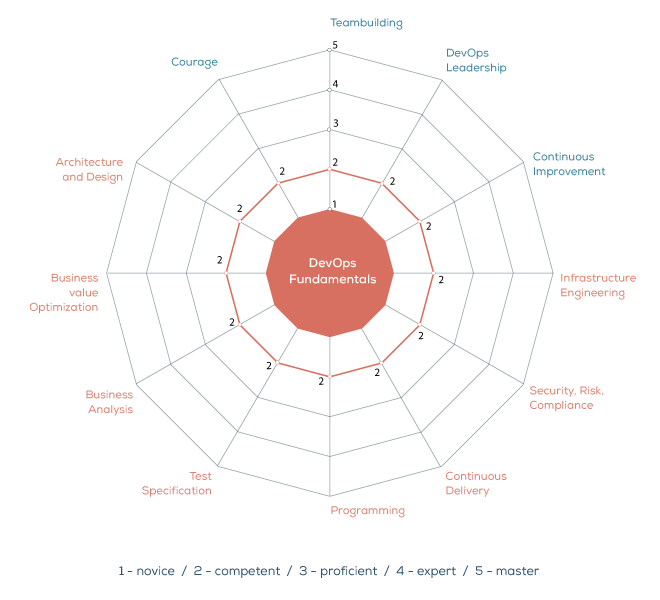 How Does DevOps Fundamentals Fit into the DASA Competence Framework? 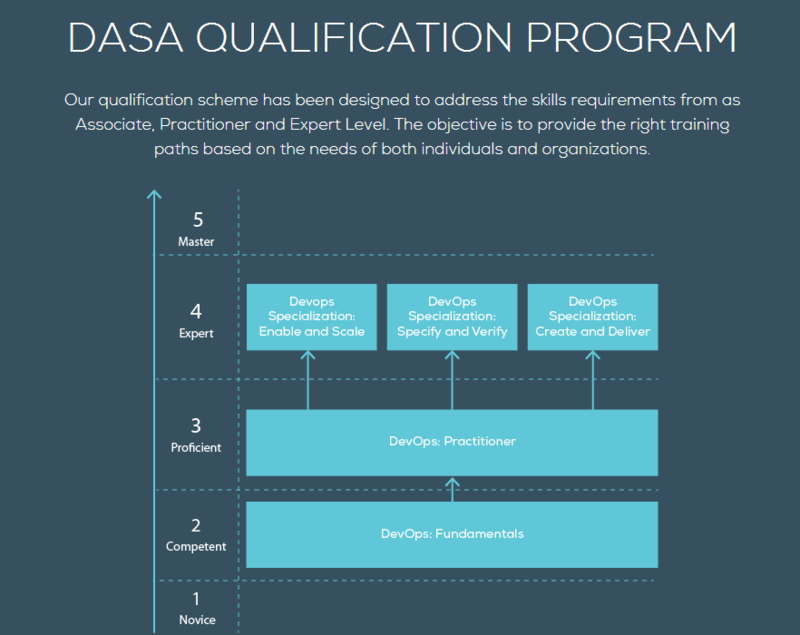 After completing this course, you will cover the area marked as DevOps Fundamentals in the following figure of the DASA qualification scheme. As a result, you will reach the “Competent” level of the scheme. The DASA competence model offers a maturity model of 5 levels for professionals and teams. The maturity distribution of DevOps competencies may be different per individual, however, each team will need to have sufficient competencies to ensure performance and output. 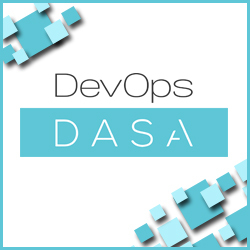 With the support of the DASA competence model and qualification program we can build and assess DevOps teams and enable organizations to win. To inquire online about our award-winning training, please complete the form and SAS Management representative will contact you. By clicking "Submit", you are agreeing to our Privacy and Cookies Policy.